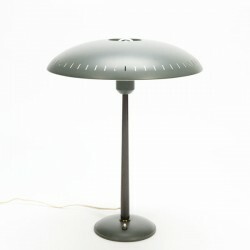 Beautiful Dutch design table- or desklamp of the brand Philips (marked). Designed by Louis Kalff in the 1950's. 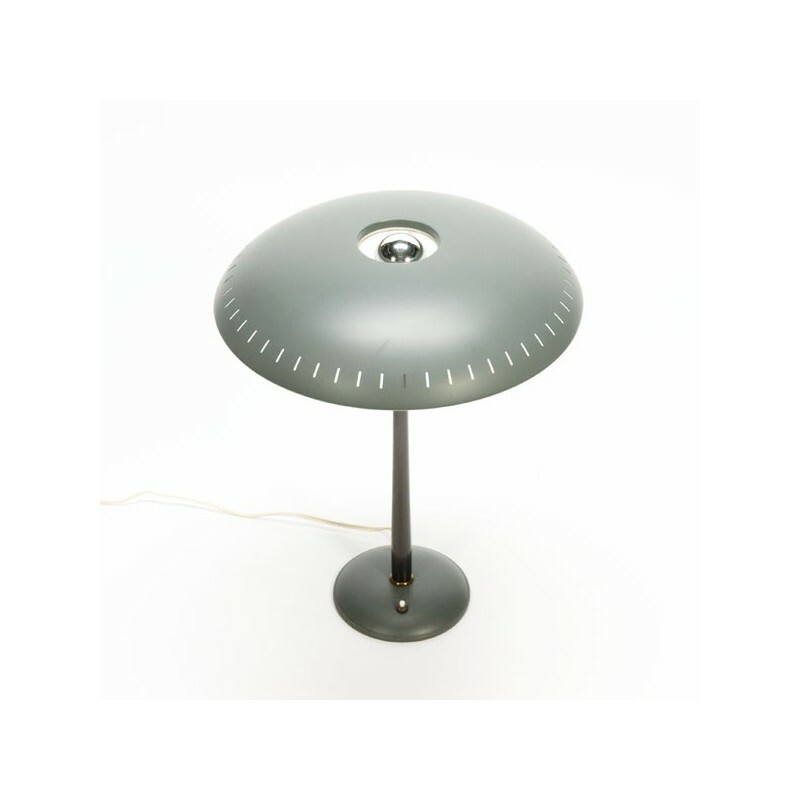 The colour of the lamp is grey/green. 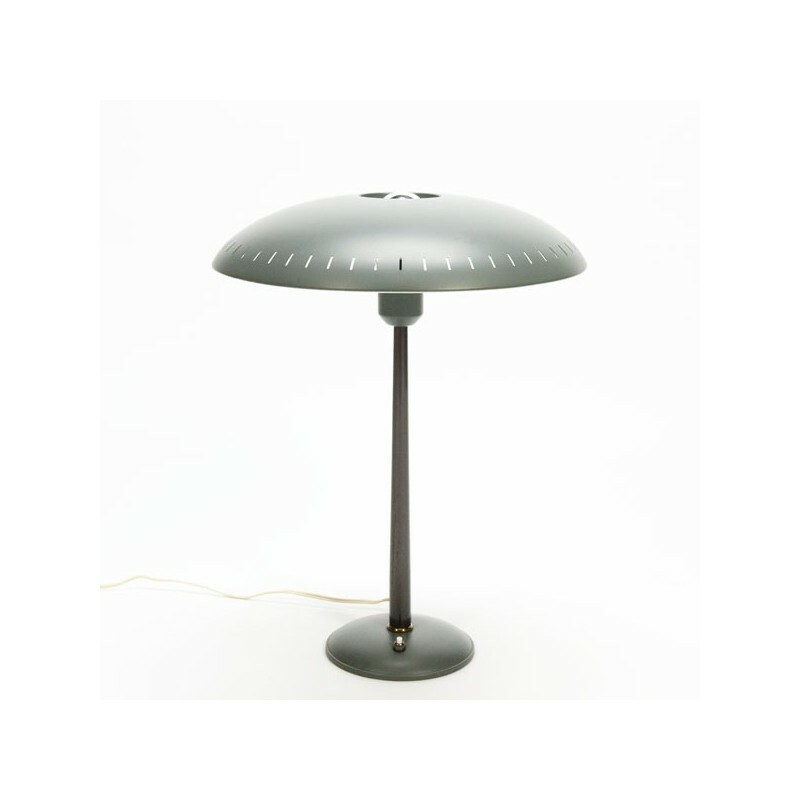 The lamp is in a good vintage condition, there are small traces of use ( see detailed picutres). 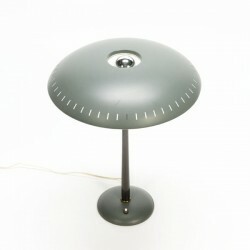 The dimension is 52 cm high and the shade is 40 cm in diameter.